H&H Medical Corporation, provider of high-quality products for emergency first responders, today kicked off its fundraising campaign to support Safe and Sound Schools. 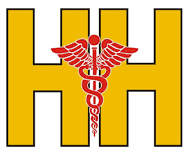 From July 1 through September 31, 2018, H&H Medical Corporation will donate a portion of revenue from online sales of select trauma kits and supplies to Safe and Sound Schools to help fund free programs and resources for school crisis prevention, response, and recovery. For more information about Safe and Sound Schools, including free assessment tools, tool kits and resources, visit http://www.safeandsoundschools.org.